As the Women's Resource Center (est. Dec. 1998) celebrates its 20th year on campus, it is revitalizing its title and its mission to be inclusive of the full scope of its work, it is launching its new name: Center for Women & Gender Equity. At the Center for Women & Gender Equity (previously known as the Women’s Resource Center), we respect all persons and value diversity. 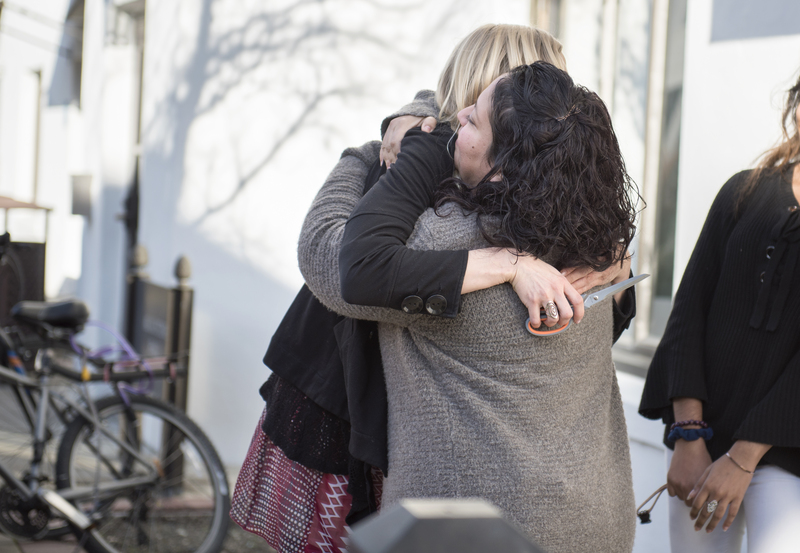 We are committed to social justice, gender equity, and creating an environment where violence is not tolerated. 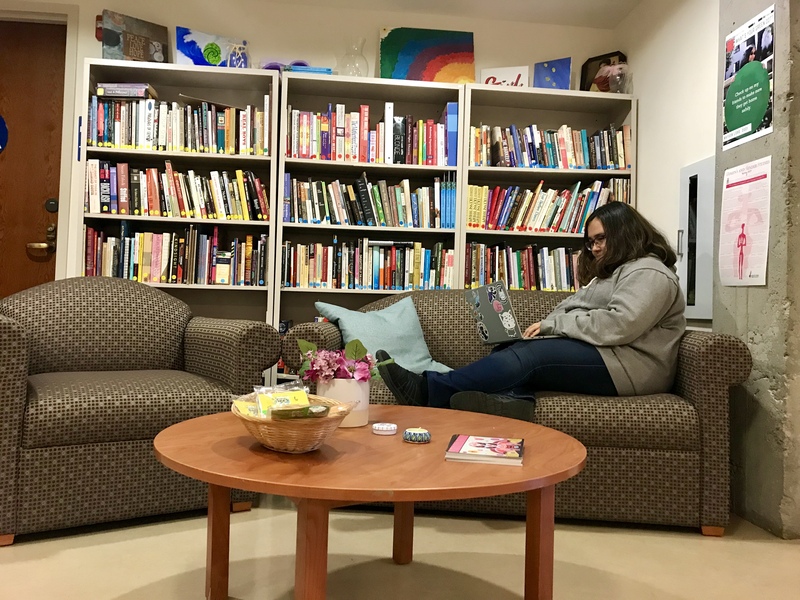 The Center for Women and Gender Equity is a hub of connection and community for women, non-binary, trans and students of all gender identities. It seeks to support women and folks across the gender identity spectrum in their development as they work to find their place on campus, by helping them identify ways to be engaged that support the curricular experience and formulate a post-graduation plan. It seeks to address marginalization and disparities in resources, support, access and opportunities based on gender, and/or sexual orientation, racial, cultural, religious or ideological identities through thoughtful dialogues, discussion, programming and advocacy. It seeks to help make the voices of women and people across the gender identity spectrum audible by intentionally creating spaces for story sharing, story writing, spoken word and healing. The Center is committed to the movement to end violence against women and people of all gender identities (which is a symptom of gender inequity). We work in close partnership with the Office of Sexual Assault & Violence Prevention to continue this work. The Center for Women & Gender Equity utilizes a collaborative, strength-based approach in supporting and advocating for students, promoting gender equity and inclusivity. 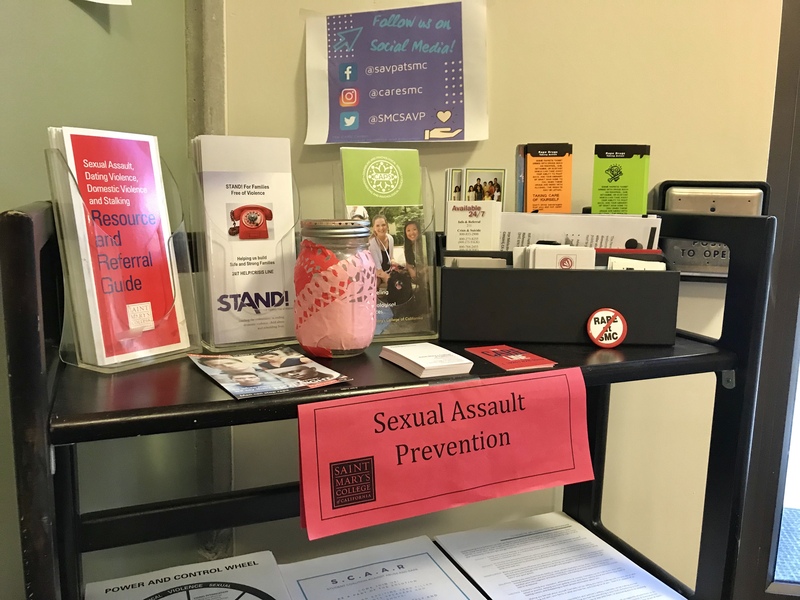 It houses gender justice programming and shares space with the Office of Sexual Assault and Violence Prevention (SAVP). We are rooted in an empowerment model. We are located on the ground level of Augustine Hall. Please come and visit us! Betty Reid Soskin gave a keynote address at the Center for Women & Gender Equity's celebration of 20 years. The Center for Women and Gender Equity celebrated their 20th year on campus by holding a ribbon cutting ceremony in the Center after a day of symposium including a luncheon, panel of alumni, and keynote speaker, Betty Reid Soskin. In April of 2014, the WRC asked students, staff, and faculty members to tell us why they stand up against sexual assault. Here are their amazing responses.